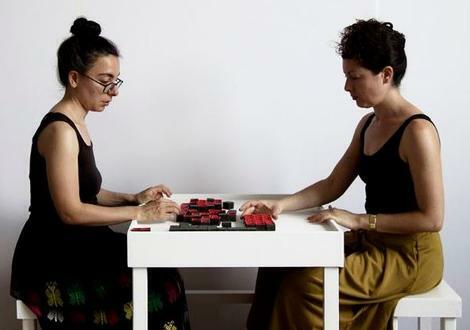 open | close | open is designed as an interactive piece, a game, a meditation for two. The artist, Milcah Bassel, invites you to come play on October 1 (2-6pm). Bassel’s 79 small square ceramic vessels constitute game pieces in a moveable grid, representing organs in the human body. The title is lifted from a poem by Israeli poet Yehuda Amichai, that reflects on states of being open/closed/open during pre-birth/life/death.